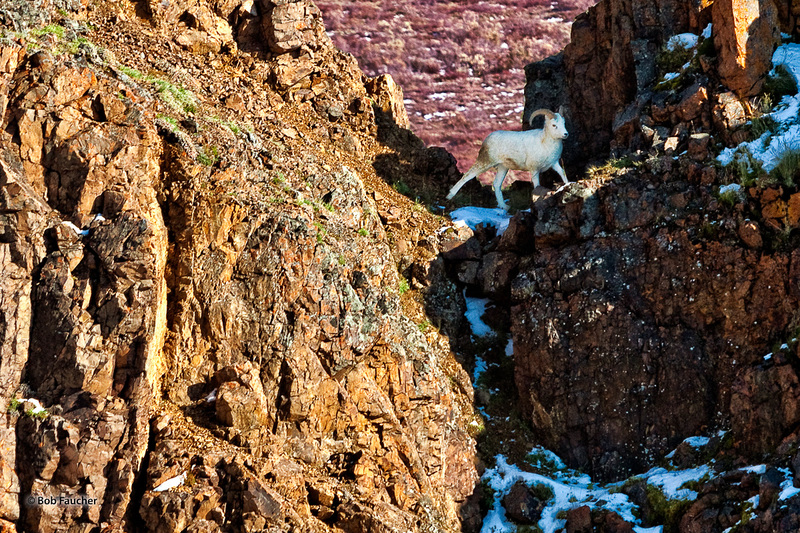 Young Dall Sheep ram crosses a narrow cleft between rocky outcrops. The ultimate outcome of his climb was to ascend to the top of the outcrop to survey the surrounding territory. Photo © copyright by Robert Faucher.